Beirut… How do I start? Beirut’s name is derived from the Canaanite name of Beʾerōt (Wells), referring to the underground water source that is still tapped by its inhabitants (note the modern irony). It is a city of baffling contradictions blending the cosmopolitan with the provincial. 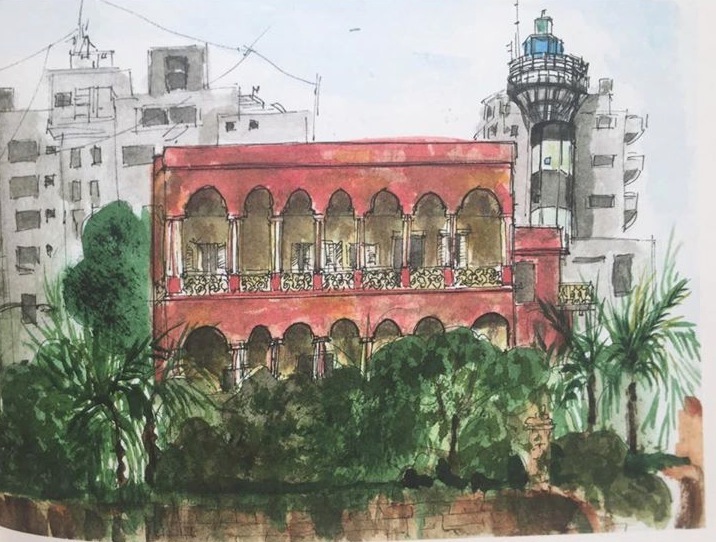 Beirut is a collage of high-rise buildings, modern buildings, walk-up apartments, traditional four-story houses, beautiful dilapidated 2 story houses with red roofs, and run down buildings. I love this city for everything that it is, because my Beirut is where a modern café sits side by side next to a laundry, a mini market, a bakery (firin), a butcher, the khodarje, the antique shop, the old neighbourhood barber, the coiffeur, the nail shop, the tailor, the pub, the cellular shop, and that shop that you will never understand what it sells. My beirut is just like its citizen, a mishmash of everything, of old and young, of poor and rich, of past and future, of kindness and rudeness, of humbleness and arrogance, of familiar faces and new ones, and somehow it all seems to carry on with a smile and a “yalla” attitude to life.